This is the second cache in my Tick series. 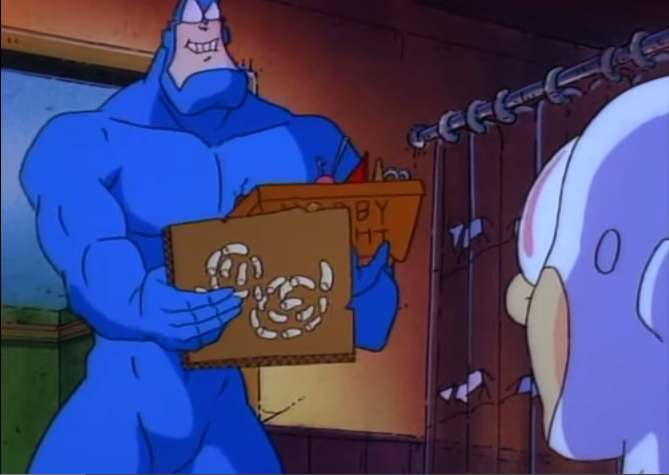 Like myself (Little Wooden Boy), the Macaroni Duck was a creation of the Tick. Unlike me, it wasn't designed to fight evil. This cache is located in Cooper's Rock State Park. The cache is on a side trail off of the Clay Run trail. The closest parking is at the Henry Clay Furnace. You could also park at the Overlook and take one of the connector trails down to the cache. This is a straight-forward hide. Enjoy! Va gur pebbx bs n snyyra gerr.